If you've always wanted to be a public works engineer, you must know that there's no need to spend years studying at University because you can now download Bridge Constructor for Android. You definitely won't be as well-paid as an engineer, but you're going to have the time of your life. 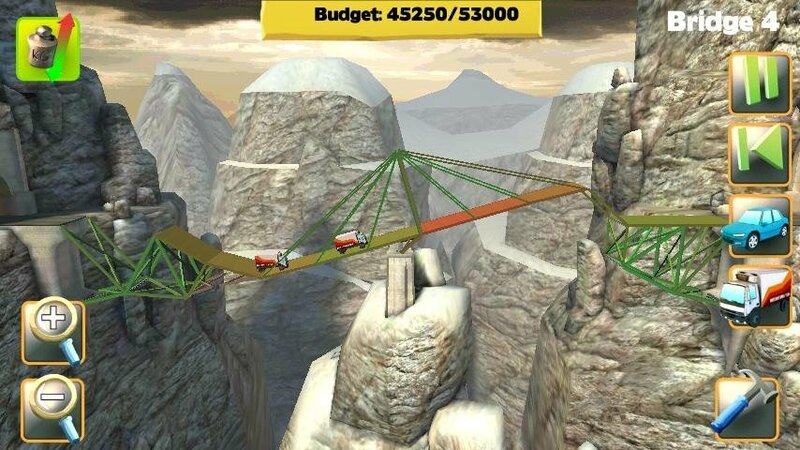 In Bridge Constructor you have to equip the island nation of Camatuga with bridges to join mountains or cross valleys and rivers. You can make use of a wide range of materials depending on the terrain's needs, and having to keep to a budget is one of the main obstacles when it comes to building bridges. Will you manage to get a long with this burden? 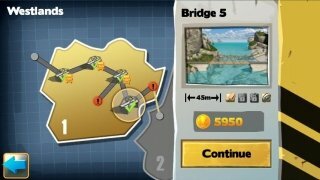 The most addictive public works engineering game. 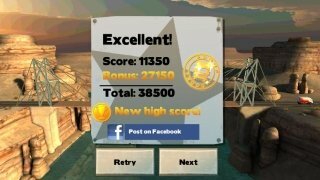 Free build mode and help system. 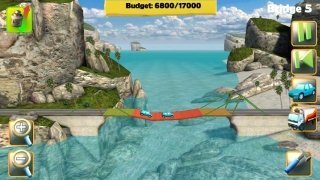 Five different environments (city, beach, mountains, hills and canyon). Four construction materials (wood, concrete pillars, cables and steel). Color-coded load indicators for each construction material. Three types of load bearing (cars, trucks and tankers). 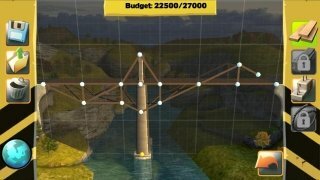 In Bridge Constructor you'll be able to use a grid system that will allow you to be more precise when it comes to placing cables, pillars, moorings and other elements. Then you'll have to submit your construction to stress tests just like real bridges, and for such purpose you'll make use of cars, heavy trucks and even heavier tankers. 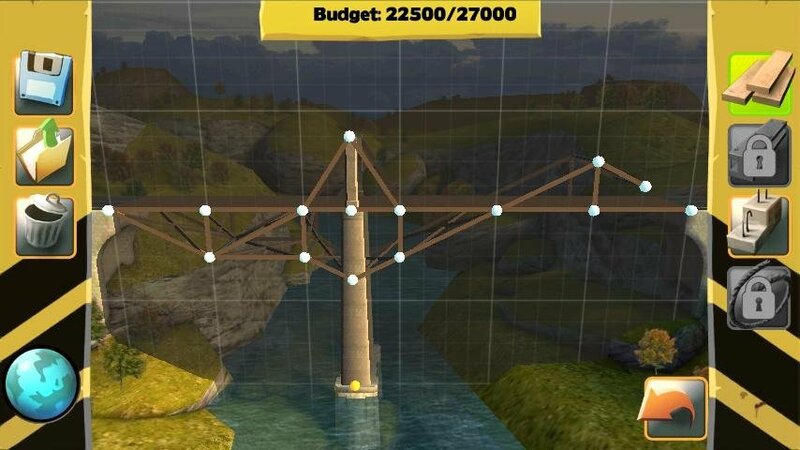 Bring out your inner engineer with Bridge Constructor.